My first IndiBlogger Event at Bangalore, focusing on the Food and Tech fusion highlighting various hi-tech applications with Nokia. 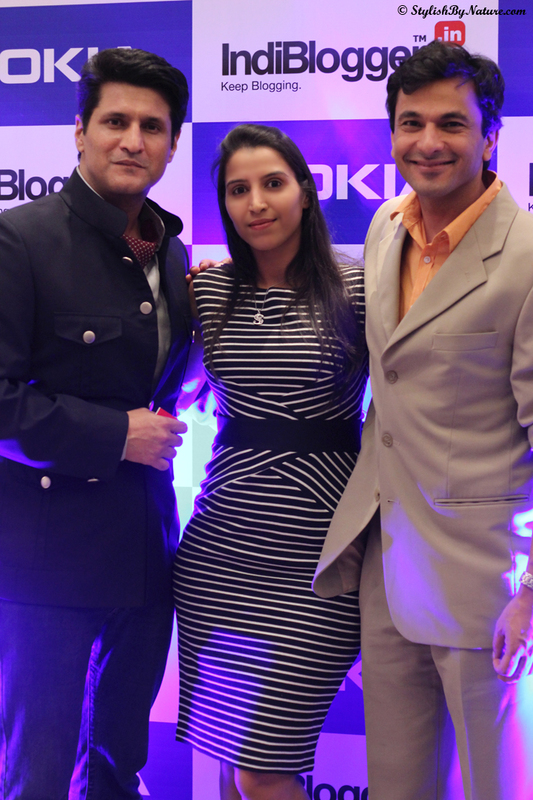 I was excited to meet Mr. Vikas Khanna (reputed chef) and Mr. Rajiv Makhni(Gadget Guru), the celebrated personalities, who were the hosts for the evening. 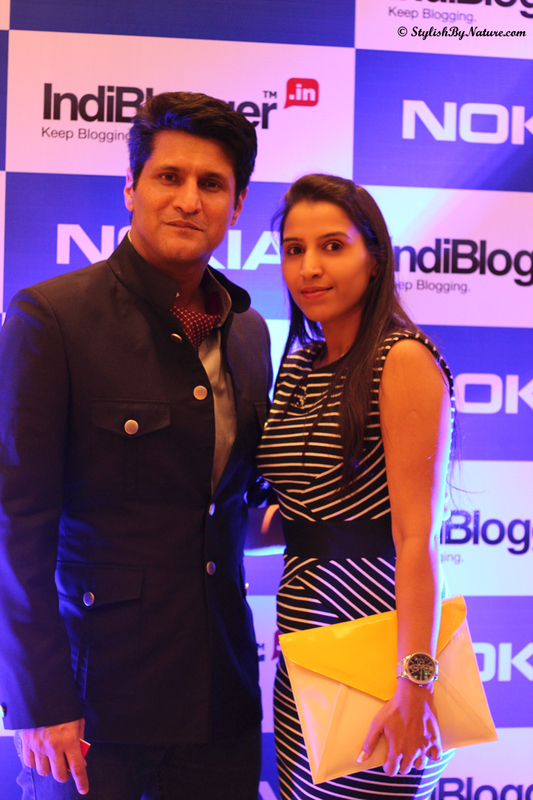 Evening witnessed a huge gathering of 300 bloggers from in and around Bangalore. 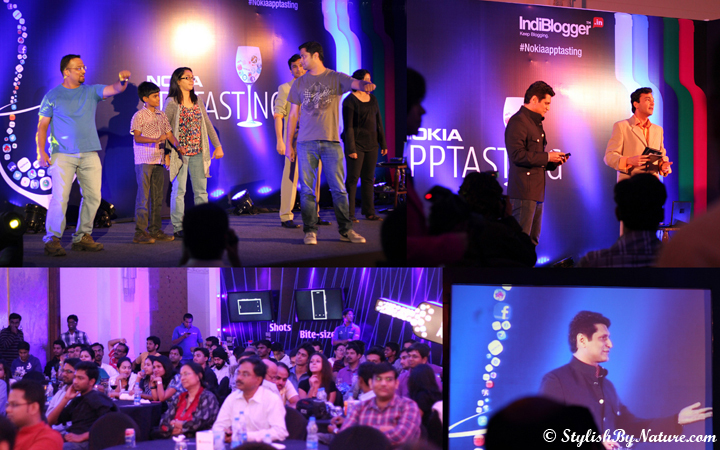 Both Vikas and Rajiv gave a soul to the event and let the audience enthralled throughout. Amidst rounds of snacks and wine, various Nokia applications were illustrated quite practically. I really liked the practical aspect and user friendly approach of applications. It was quite impressive to note the speed of loading and execution of these applications. For sure, even a common man will be hooked to these applications and can easily integrate them in their lives ... Video Maker, Breath Analyzer, City Lens, Food and Wine Pairing, Hairstyle Selector to name a few. 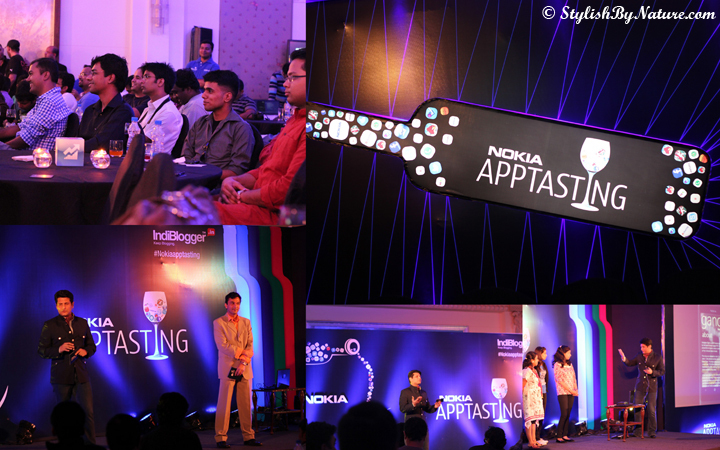 Event was open for everyone to share their ideas for their version of applications, and that came with rewards in form of Nokia phones too !! 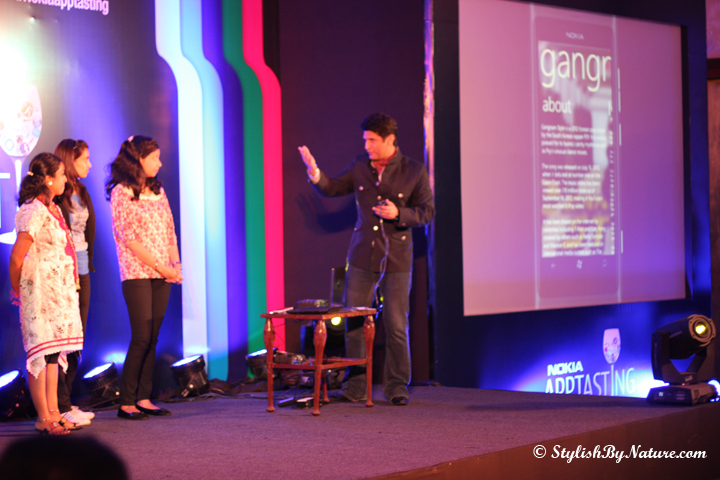 The whole event and branding exercise looked promising and opened doors to innovation for new applications on Nokia. Will Nokia be able to capture smartphone market and give a though competition to Samsung/Apple/HTC? Not Sure, but definitely worth an option next time you decide to buy smartphone. Great. I love Nokia phones , my whole family use Nokia. yeah , I believe that Nokia one day will be able to win the race! seems like a nice event!! smart yet chic..nokia still has a brand value even if samsung and htc are there. that dress is really beautiful! 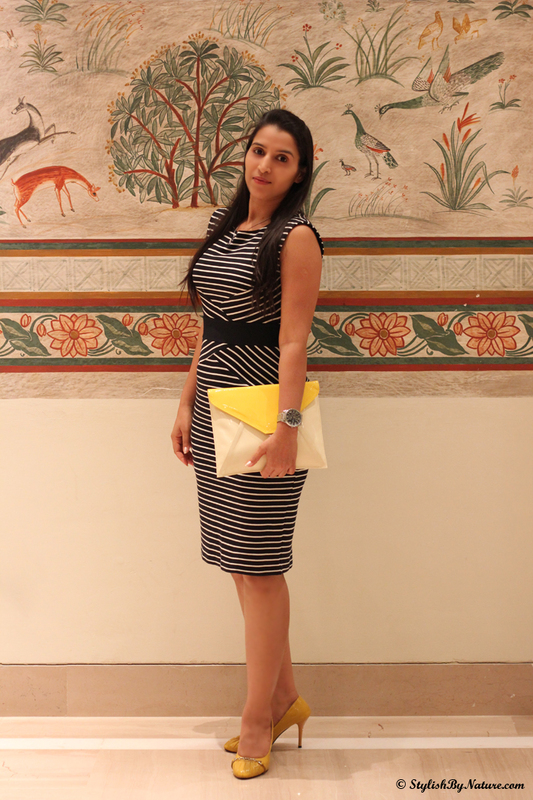 and i love the way you paired it up with yellow! 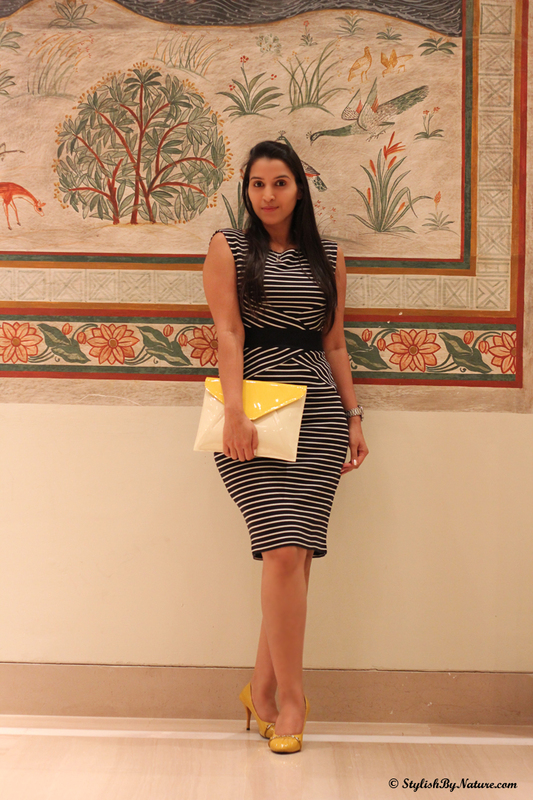 You look awesome in that dress and I love the black and white paired with yellow accents!! The envelope clutch is nice. It's like a statement piece. Great outfit and sounds like a lovely event!